First and foremost a healthy root system is key to a healthy tree. One of the key indicators of damaged or struggling roots system is a decline in the health of the trees canopy and often the formation of dead branches. It is these dead branches that can cause not only damage to property but can also be safety concern. Most tree roots are located within the top 60cm of soil. Roots absorb water, oxygen and nutrients from the soil. Roots grow outward in direction and extend by elongation. They will grow where conditions are favorable. The roots system of a tree is the support mechanism for all parts of the tree above ground level. Where do Tree Roots Grow? It is a general misconception that the root system of a tree consists of large “Tap Root” that anchors the tree and other smaller roots. Trees are in fact supported by a “Root Plate” and not a “Tap Root”. The larger roots work both in compression and tension to keep the tree upright. In addition the smaller roots also known as feeder roots take up water, oxygen and nutrients and transport these to the rest of trees. Without oxygen tree roots will die (with the exception of trees that have developed to grow in water logged or marsh conditions). It is for this reasons that tree roots grow close to the surface of the ground. The depth of roots will vary depending on the soil type but as rule of thumb they grow in the top 60cm of soil. The roots of tree can extend as much as 6-12 times the distance of the canopy. 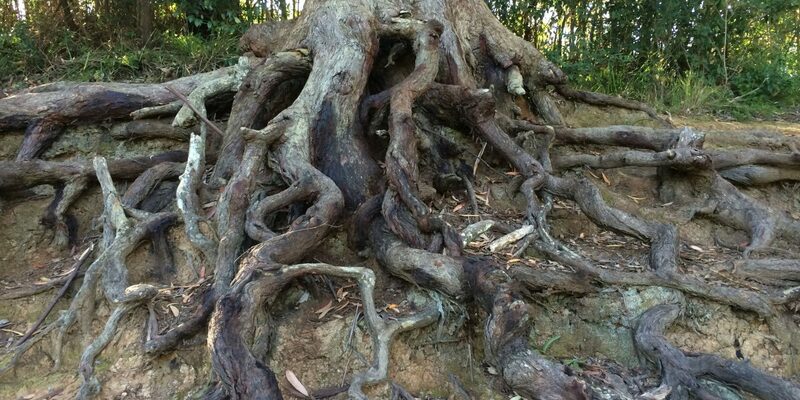 Roots of trees are advantageous and will only grow into an environment that is favorable to root growth. This means they will not grow into heavily compacted soil or water logged soil. Some tree roots are more passive than other meaning they are less likely to damage structures and buildings and the roots system will mold around or grow away from obstructions. Other trees are notorious for having an aggressive root systems that can lift and damage paths, retaining walls and buildings. Then there are trees that are water loving and have a tendency to follow moisture veins in the soil and in many instances they may get in an further damage leaking sewer lines or storm water pipes. 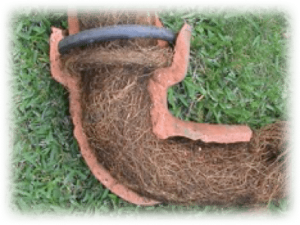 If the roots enter storm water or sewer pipes that are leaking they infiltrate the area quickly with a network of roots. This is especially the case with trees that are more water loving. A gap as small 1mm can be enough for a fine root to get in and spread. Although there are several ways roots can become injured /damaged we will only cover the most typical ones that you are likely to encounter. In this article we will cover soil compaction how to avoid it. When it comes to root damage people mostly associate this with cutting or physical damage the roots and often don’t even consider one of the biggest killers of trees “soil compaction”. 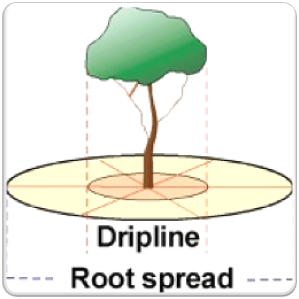 Soil compaction is the reduction of air pockets / voids in the soil that allow the tree roots to take up water, oxygen and nutrients. 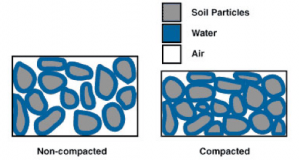 The below Figure illustrates a graphical representation of soil compaction. Trees are dependent on the availability of oxygen. Without oxygen tree roots will die. For this reason compaction is a major cause of tree decline where the infiltration of air, water in the soil is reduced. The most typical cause of this is compaction of the soil from vehicle traffic, machinery and even pedestrian traffic. Where possible it is best to avoid vehicle traffic and machinery movement close to trees. Soil compaction is more likely to occur in heavier soils which have a higher clay content. In addition high soil moisture in heavier soils will increase the likelihood of compaction as it moistens and allows the soil particles to slide across each other and compress the void spaces which hold air and water. 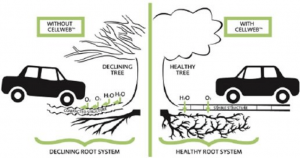 Here is an illustration of the roots system and the canopy affected by compaction. Left side of picture is compacted and right side is tree in good health. I can not emphasis enough that if compaction can be prevented healthy tree growth is far more likely. This in turn will reduce incidents of dead branches falling and long term reduced tree maintenance costs. 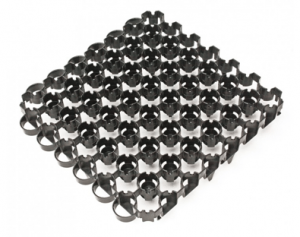 There are several products available on the market that can help to reduce soil compaction. The images below are example of some of the available options. 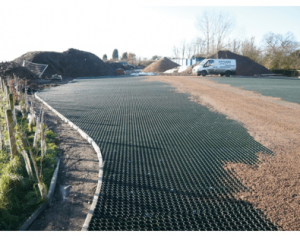 They all work on the principle of spreading the load and reducing the amount of pressure placed on the underlying soil. The spaces are filled and this allows grass to grow. They can also be filled with gravel and used as drive way.